Buddy, the estranged son of Vet, a border patrol officer in South Texas returns home to confront his father after a ten year separation. Vet has been remarried to Grace, a meek, wide- eyed waitress. 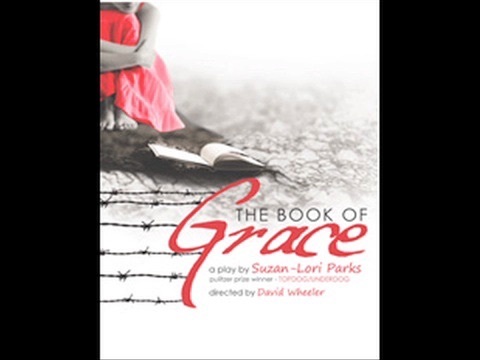 An optimist who secretly compiles the “Book of Grace” containing newspaper clippings, photographs and stories that provide “the evidence of good things.” As Vet patrols the border fence at the perimeter of the stage, Buddy contemplates revenge and explosives, while Grace testifies to the daily miracles that fuels her passion for life and hope for humanity. Each in their own world, they are discovered. Vet is on the border, patrolling the fence in a desolate landscape, Grace in the diner, testifiying to the small miracles of life, Buddy stands in his bomb-filled vest. Grace: You just gotta look for it. The good. You just gotta look.